Today, BLOOM has filed a second complaint against the Netherlands, because this EU Member State does not respect the EU rules. BLOOM’s first complaint on 2 October 2017 to the European Commission concerned the illegality of most electric fishing licenses granted to Dutch vessels. A few months later, BLOOM decided to challenge the European Commission again about the failure of the Dutch government to comply with European law: the Netherlands is the only major fishing nation in Europe to have not published data about the public subsidies that were allocated to Dutch fleets between 2007 and 2014. All major European fishing nations have conformed (with varying degrees of good will), with the obligation to publicize data concerning the beneficiaries of the European Fisheries Fund (EFF) – the financial instrument that granted public subsidies to European fishing fleets for the period 2007 to 2014. Using the only public data currently available, i.e. the subsidies that the Netherlands has allocated from 2015, BLOOM has already been able to calculate that Dutch ships received €5.7 million of public monies for electric fishing. 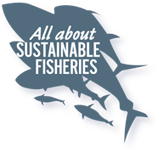 “Since August 2015 alone, the Netherlands has distributed almost €6 million to its electric fishing vessels, but the vast majority of conversions took place between 2007 and 2014. This suggests that a large-scale financial scandal is looming, in addition to the ecological, social and political scandal that we have revealed on this issue “declared Frédéric Le Manach, BLOOM’s scientific director. The European Commission has just responded to BLOOM’s first complaint with a standard letter, which shows that the Commission is trying to evade its political responsibility. On 13 April 2018, the Commission wrote it had transferred BLOOM’s complaint to the “EU Pilot”, a system supposed to allow “an informal exchange of information between the Commission and the Member State concerned“. But according to Claire Nouvian, this “pseudo-procedure” is actually meant to save time and to avoid formally launching an infringement procedure. “The Commission had 12 months after we filed our first complaint to decide whether it would launch a formal procedure against the Netherlands. When, after six months, the Commission replied that our complaint was transmitted to an “informal” mechanism whose stated purpose is to avoid, if possible, “formal infringement proceedings”, it’s almost a public admission of its bias in favour of those who trample on European law. The Commission is the Guardian of the Treaties, it is supposed to be “politically independent”. If the executive arm of the EU does not defend the general interest and democracy, especially at a sensitive time of Trilogue political negotiations, which must decide whether or not to ban electric fishing in Europe, then how much can citizens trust EU institutions?” Nouvian asked. In a letter sent today, BLOOM calls on the European Commission to act impartially and to “take all necessary measures” to ensure the Netherlands complies with EU rules, whether it is about the unlawful number of licenses or about breaching financial transparency requirements. ‘Trilogue’ negotiations between the three European institutions (Parliament, Commission and Council), which will decide whether electric fishing is indeed banned in Europe, began in March 2018. On 16 January 2018, the European Parliament voted, with a very large majority (402 votes to 232), in favour of a full ban on electric fishing. The European Fisheries Fund (EFF) initially covered the period 2007–2013. But in reality, it ran until 2016 and overlapped the next financial instrument. The European Maritime and Fisheries Fund (“EMFF”) is the new European financial instrument for the fisheries sector. It will theoretically cover the period 2014–2020. To know everything about electric fishing, read our document “Electric ‘Pulse’ Fishing: Why It Should Be Banned”. Read all about our electric fishing campaign here. The European Commission will acknowledge receipt of our complaint within 15 working days, and within the following 12 months it will assess our complaint to decide whether or not to initiate a formal infringement procedure against the Netherlands. Electric fishing was prohibited in Europe in 1998 (Regulation 850/98). In 2007, the Netherlands obtained 22 derogations to conduct experiments in the southern part of the North Sea. In December 2010, 20 additional licences were granted to Dutch fishers for research purposes (Article 43 of Regulation 850/98). In 2014, the Netherlands intensely lobbied the European commission and obtained 42 additional licences for the implementation of a ‘pilot project’ on selectivity (Article 14 of Regulation 1380/2013).